Here it comes, the Nexus 7 refresh. After months of speculation that it would arrive anywhere from Google I/O to July, the device finally stopped by the FCC, making it somewhat official. And thanks to the filing from the FCC, we know a lot about the device, including the processor, the fact that it has a rear camera, and that there will be LTE on board. 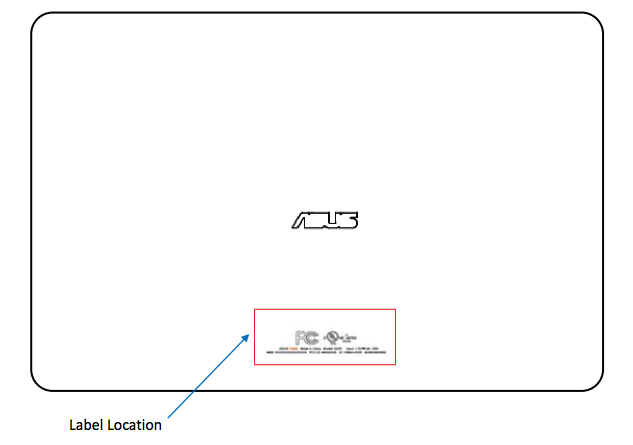 We’re looking at an Asus made tablet, labeled as “nexus” for “marketing purposes,” a Qualcomm Snapdragon S4 Pro quad-core processor (APQ8064), rear camera (likely 5 MP), LTE, and a 3,950mAh battery. That’s a solid package that should be able to remain reasonably priced thanks to the processor being last year’s high-end chipset. We’re also happy to see a camera, since the original Nexus 7 didn’t carry one. And for those connectivity junkies, the LTE mention should make you quite happy. Sources of ours have indicated that July 30 would be a good day to pencil in on your calendars as a potential launch date. We should see both WiFi and LTE models at that time. No pricing information is officially know, though we’d assume that Google will keep it close to the current $199 and $249 price points. Update: Reader Tyler points out that a similar Asus tablet under the model number K009 stopped off at Bluetooth SIG recently, and even presented itself via blurry-cam photo. The device definitely looks like a Nexus 7. The description even mentions that the tablet features a 7″ LED-backlist capacitive multitouch screen. 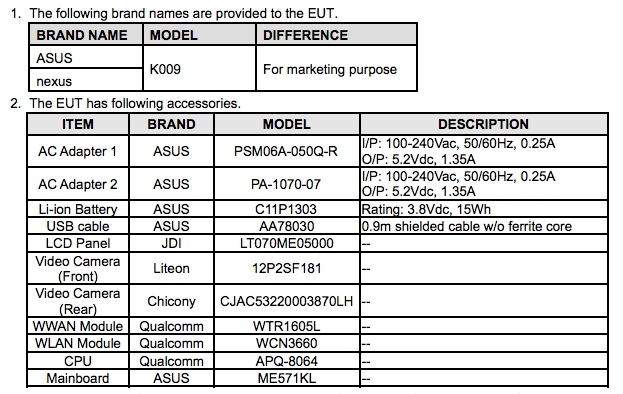 Where it gets confusing, is the mention of a Snapdragon 600 processor instead of the Snapdragon S4 Pro listed at the FCC. I think I’m going with the FCC filing on this one.